Add Rosemary to your Favourite Herbs list. Herbosophy's Rosemary Leaf is from pure Rosmarinus officinalis Leaf and contains no fillers, preservatives or additives. Rosemary is freshly ground and encapsulated for you at order or packaged as loose herb or powder: the choice is yours. 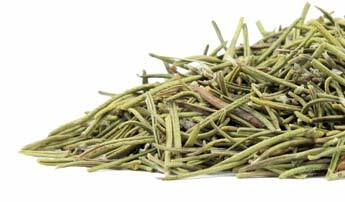 Rosemary Leaf is traditionally considered by Herbalists to be dry and warming and has been a popular herb in the Western Tradition for culinary, cosmetic and health use. I've always had trouble staying awake when I am not moving around, caffeine tablets in the past has really been the only thing that helps. Since taking rosemary tablets, I am more mentally alert, and not having caffeine tablets anymore! flowers, shallots, garlic and 1/3 cup olive oil. tomatoes with 2 tablespoons olive oil to coat. for 30 minutes. Flip tomatoes over carefully. garnished with oregano and rosemary flowers. about 2 Tbsp rosemary flowers. berries and chill for 30 minutes before serving. cake or a lady finger is a nice accompaniment. fine-mesh strainer to strain out leaves. Discard. cool for 15 minutes. Add vodka and brandy. vinaigrettes or as an addition to iced tea. briefly. Add the pesto, salt, pepper to taste. Drop shelled walnuts into boiling water. Cook 2 minutes after water returns to a boil. water. Spread nuts on paper towels. Let dry. twice. Line a large baking sheet with foil. pepper in a small pan, stirring to mix well. wine, mix in the sugar and set aside until cool. egg white until stiff and fold into the cream. with the sprigs of flowering rosemary. make dough smooth and elastic. and remove from heat. Let stand until cool. minutes, Cut into squares and serve warm. ingredients together and sprinkle over the top. cream or Mascarpone cheese. Freezes well. speed for 6 minutes or until light and creamy. margarine, rosemary, salt, nutmeg and cloves. heat; add butter and stir until melted. Let cool. of goat cheese in center of batter in each cup. oven, or until brown and springy in the center. cover, and let stand for at least 40 minutes. and add the garlic, rosemary, and pepper flakes. sauce is thick and glossy, 2 to 3 minutes. to 1 week. Makes about 1 2/3 cups. heat. Cover and cook mixture for 3 minutes. coat. Heat. Serve over hot cooked rice. rosemary, in mixer bowl. Mix thoroughly.
? cup of the chicken stock and the wine. until the sauce is blended but slightly chunky. the pasta, and toss it in a bowl with the sauce. peppercorns. Use with pork and beef.